RASHID International e.V. aims to publish all research and information it produces. All reports, except where otherwise noted, are licensed under a Creative Commons Attribution 4.0 International license. For the terms of the license please see http://www.creativecommons.org. This only applies to content produced by RASHID International. Intellectual property owned by other persons and/or entities is marked as such and is subject to the terms decided by the relevant licensor. Please note: if files do not display properly, please try right-clicking the link and choose “Save Link as…” to download the file. This issue may be caused by AdBlockers for certain browsers, such as Google Chrome. In May 2016 the UN Special Rapporteur in the field of cultural rights initiated a study on the intentional destruction of cultural heritage. RASHID International submitted a report detailing the depredations of Daesh in Iraq generally and Mosul specifically, drawing on research performed by RASHID experts in Iraq. RASHID published a revised edition in August 2017 that identifies destroyed sites the names of which were unknown at the time of submission. 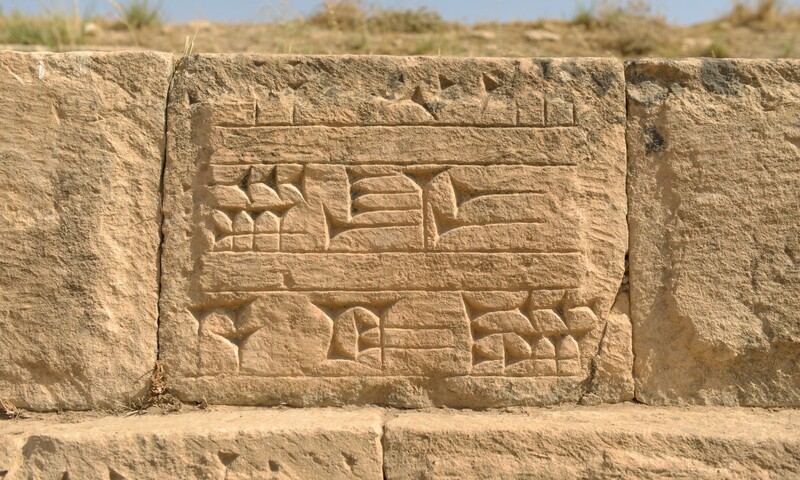 For the most recent information, please see the Monuments of Mosul in Danger Website. The UN Special Rapporteur in the field of cultural rights set her thematic focus for 2017 on addressing the global avalanche of hate caused by fundamentalism and extremism. In order to study the problem more closely she called for contributions from around the world to describe the impact of fundamentalism and extremism on the cultural rights of women. Led by eminent female researchers and professionals, RASHID International submitted a report explaining the hardships that women in Iraq face due to fundamentalist interpretations of culture, tradition and religion and frames these in terms of their impact on human rights. Experts from RASHID International attended the UN Human Rights Council’s first-ever seminar on the intentional destruction of cultural heritage, held on 7th July 2017 in Geneva, Switzerland. The results of the seminar will be presented as a report to the UN Human Rights Council during its 2018 March session. To enhance this report, RASHID International was invited to submit a document to the OHCHR regarding possible implementation steps that might enhance the protection of the cultural heritage of Iraq. The mandate of the United Nations Special Rapporteur in the field of cultural rights marks its 10th anniversary in 2019. To celebrate this milestone, the Special Rapporteur, Ms. Karima Bennoune, invited all stakeholders to contribute to a consultation aimed at taking stock of the impact of the cultural rights mandate since its creation and at identifying issues relating to cultural rights. RASHID International, led by Chief Legal Officer Seán Fobbe, contributed a special report outlining the work we do in enhancing cultural rights in Iraq. The Universal Periodic Review (UPR) is a regular review of the human rights record of all States in the world. Continuously conducted by the UN Human Rights Council, each State is reviewed every four and a half years on the basis of information submitted by NGOs, the United Nations and the State concerned. In March 2019, RASHID International submitted a report concerning the Republic of Iraq as part of the third cycle of the UPR, to be the basis for the 2019 review of Iraq. The report discusses the neglect of cultural rights in the UPR, the death penalty for antiquities trafficking, the Iraqi implementation of international law for the protection of cultural property in armed conflict, the illicit trade in antiquities, the right to cultural heritage in Iraq, the equal enjoyment of cultural rights by women and uncontrolled urban development. A one-page summary of who we are and what we do. Join us in protecting the cultural heritage of Iraq! You can download Paolo Busasco’s inventory of the looted and damaged Assyrian sculptures of the Mosul Cultural Museum, painstakingly constructed from photographs. Brusasco, P. 2016. The Assyrian Sculptures in the Mosul Cultural Museum: A Preliminary Assessment of What Was on Display Before Islamic State’s Attack. Journal of Near Eastern Studies 75.2: 205-248. Courtesy of the University of Chicago Press.